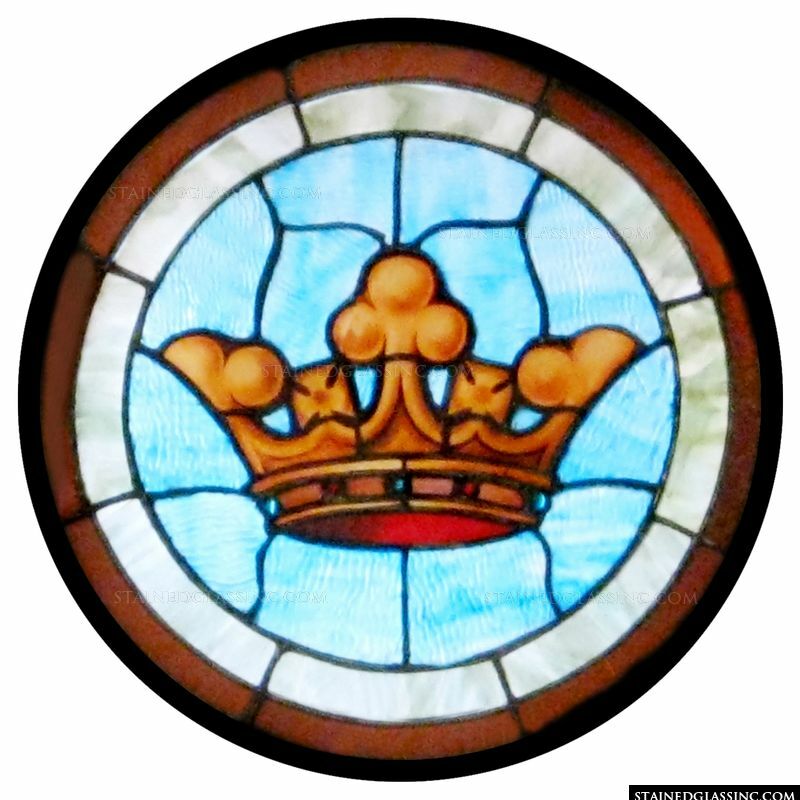 A golden crown is the centerpiece of this stained glass dial window. A brown border frames the piece while a bright blue shines from it. 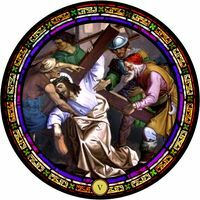 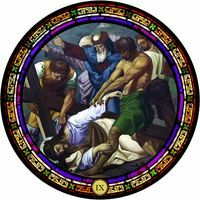 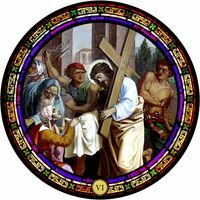 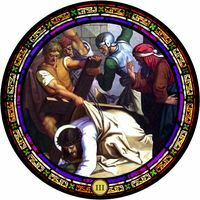 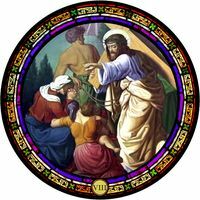 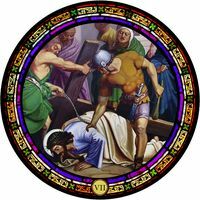 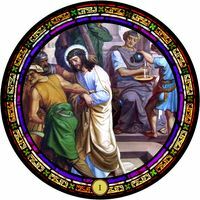 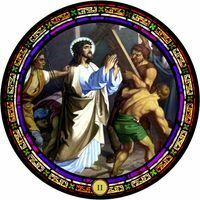 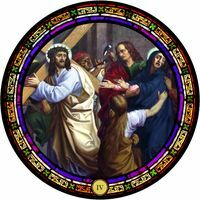 Display this stained glass rose window as a hanging suncatcher or have it made to fit an existing window in your church, chapel or basilica.